of Jacob Zimmermann, unskilled laborer, and Elisabeth Becher [?Bächer or perhaps ?Baechler], his wife, both living in Robert-Espapgne, both of whom attended the civil ceremony. Comments: No one of the four witnesses was a relative of either the bride or the groom, which indicates that there were likely no other relatives or fellow believers in town. You will know the first witness, Joseph Engel, from my work on the Lange letters. The other three men just happened to be available in Robert-Espagne, and they were probably paid something to perform this civic duty. [S125] Schrock Farms April1, 1908 - 2008. [S837] Schrocks and Augspurgers, Marilyn L. Holthouse, Jim Schrock gives day as 18 May 1874. [S740] Marriage document of Peter Schrock and Marie Zimmerman. [S136] The Schrag-Schrock Family, beginning with Joseph Schrag Sr., Eugene C. Schrock, editor (1996), Year was given as 1825. 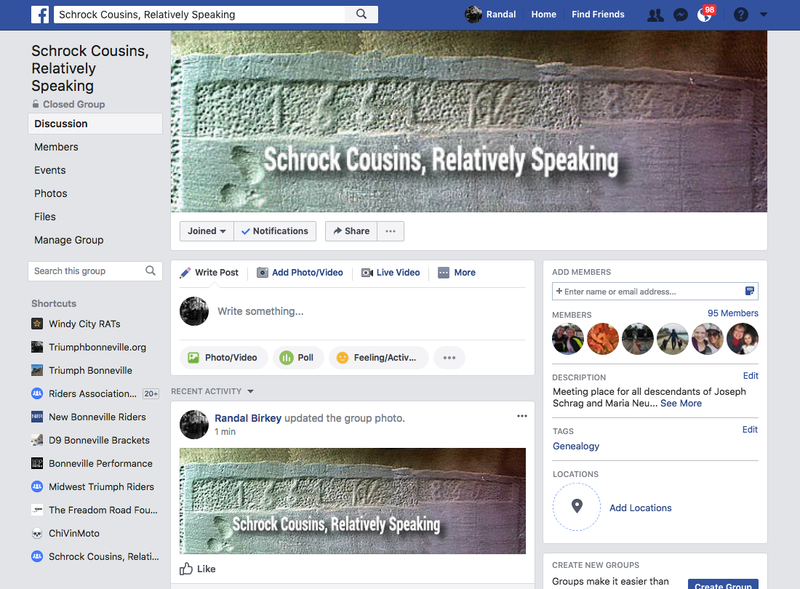 [S218] Kinfolk (Schrock/Garber/Kinsinger families), Barbara Jeane Purdy Lorenz. [S713] The Chrisholm Times--A Newsletter for Friends of Chrisholm, Jim Schrock .